With all the hoopla bubbling around X-Men: First Class, the time has come for its producer Bryan Singer to face the fanboy-issued music. 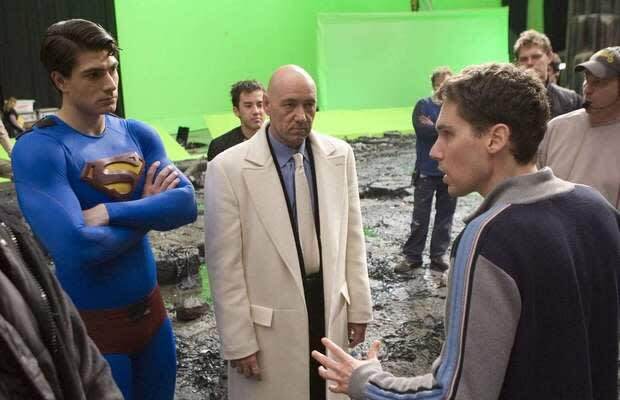 In an interview with fansite Voices From Krypton, the filmmaker who won critical acclaim for his work on The Usual Suspects admits to making mistakes on the 2006 disappointment Superman Returns. He said, "I think that Superman Returns was a bit nostalgic and romantic, and I don&apos;t think that was what people were expecting, especially in the summer." "What I had noticed is that there weren&apos;t a lot of women lining up to see a comic book movie, but they were going to line up to see The Devil Wears Prada, which may have been something I wanted to address. But when you&apos;re making a movie, you&apos;re not thinking about that stuff." Singer adds that if he was given the chance to make a new Superman movie, he would remake the original 1978 Richard Donner film, but with more action and less romance. It looks like Zack Snyder has already beaten him to the punch, sucker. Snyder&apos;s Man Of Steel, starring Henry Cavill, Diane Lane, Kevin Costner, Michael Shannon, and Amy Adams, will start production soon and is on track for a December 2012 release.